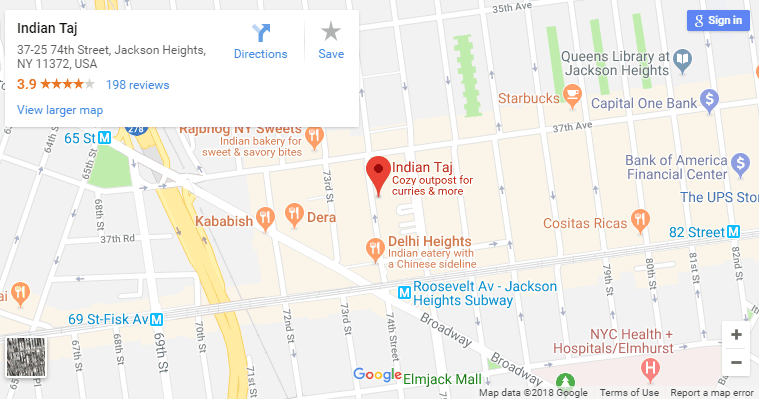 Best dinner deals offered at Jackson Heights by the famous Indian Taj restaurant everyday at dinnertime. Join friends for traditional Indian cuisine and get the best dinner deal in Jackson Heights. Get dinner coupons and offers on vegetarian and non-vegetarian specialties at dinnertime.